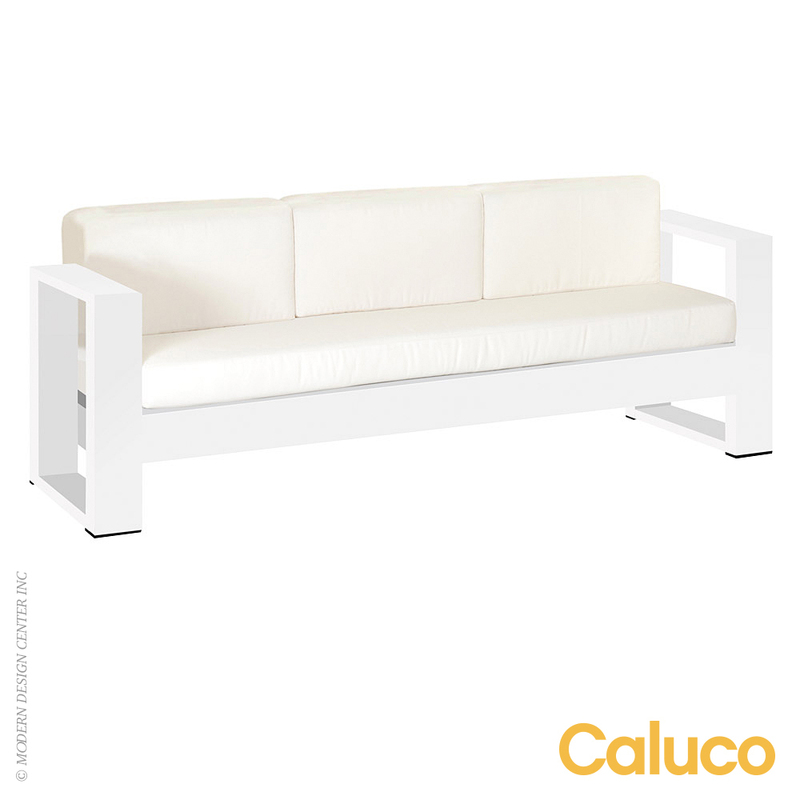 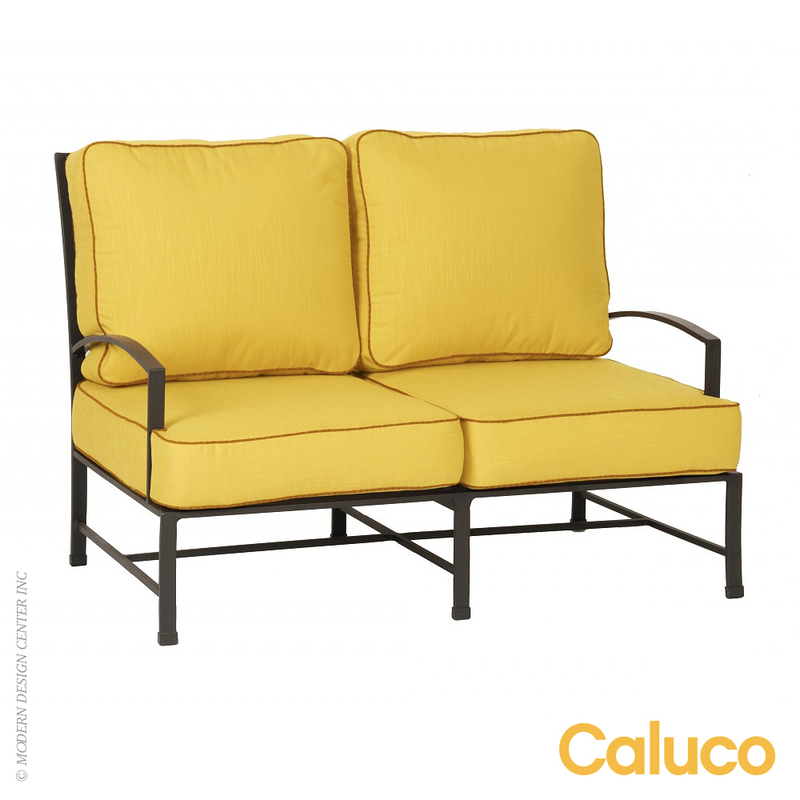 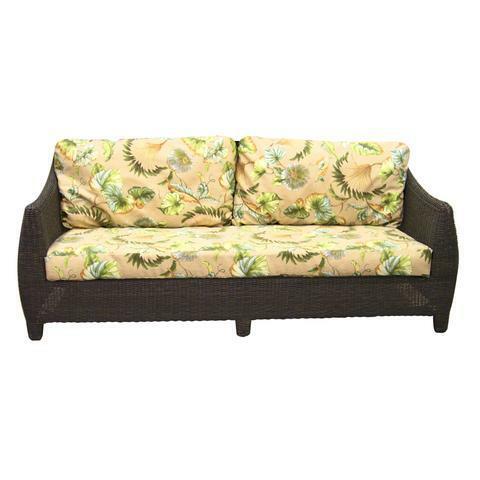 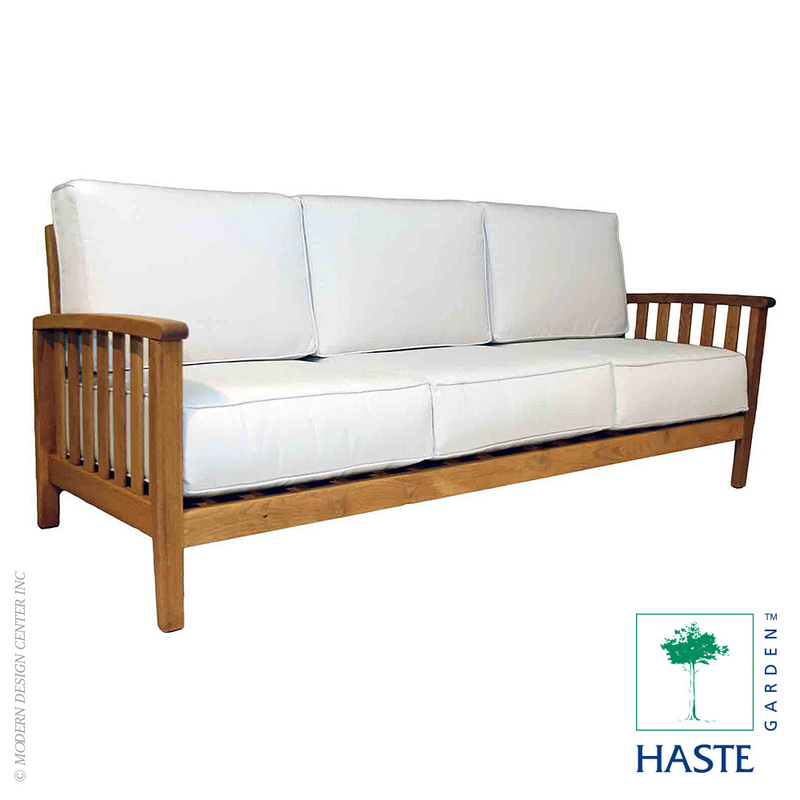 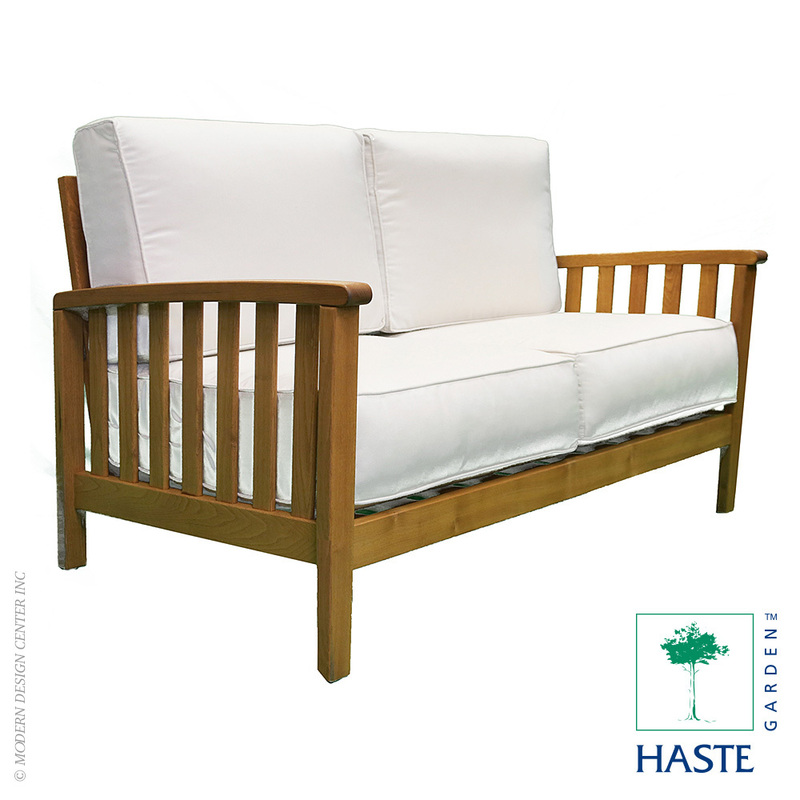 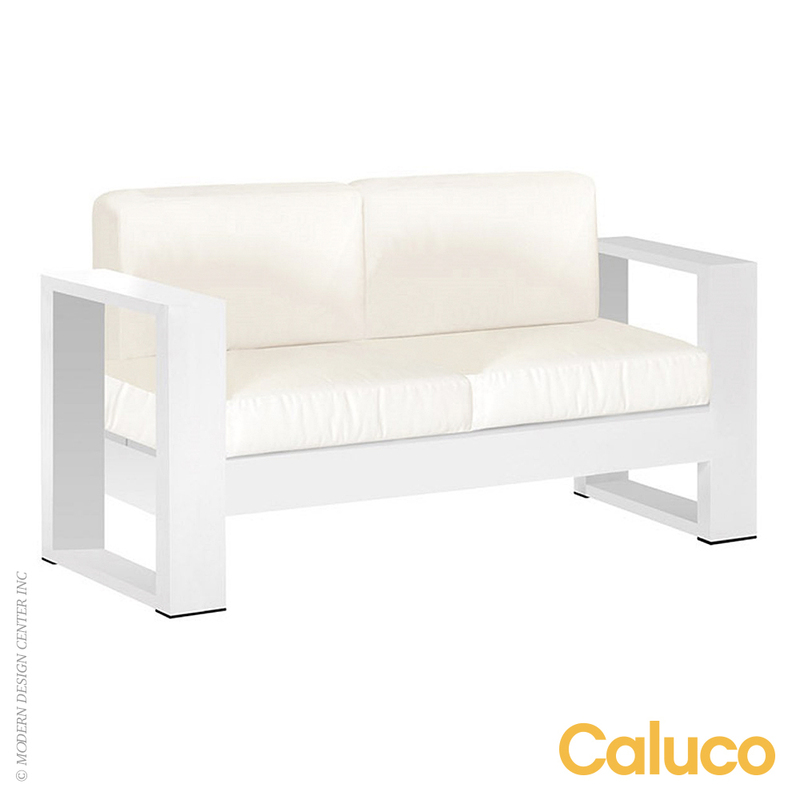 The Outdoor Bay Harbor Sofa is constructed of synthetic all-weather wicker and sturdy powder-coated aluminum, which is both colorfast and weatherfast. 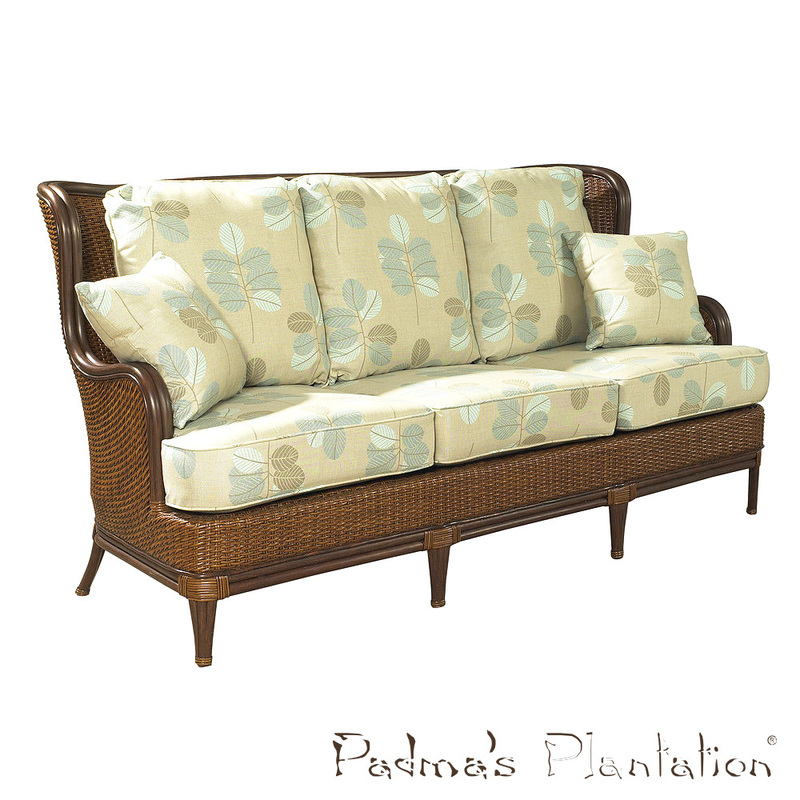 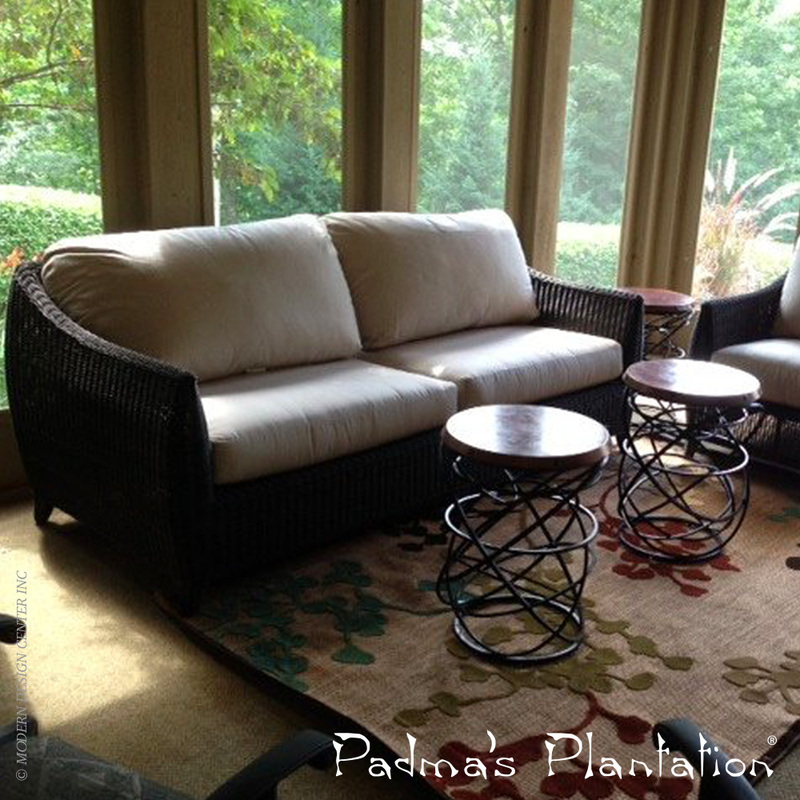 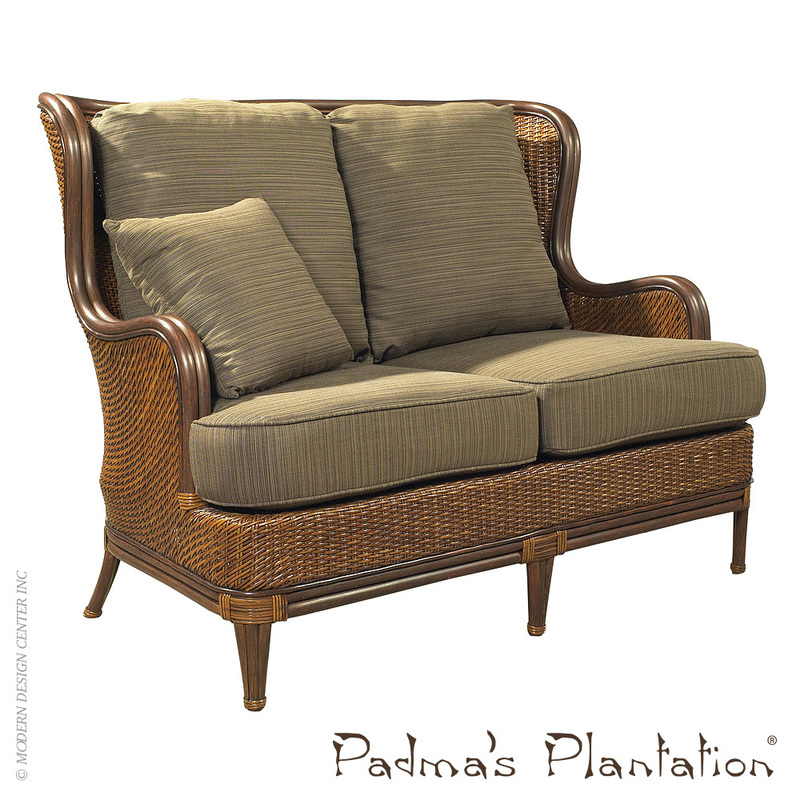 The cushions are made with open cell foam that will not absorb water and will resist mold and mildew. 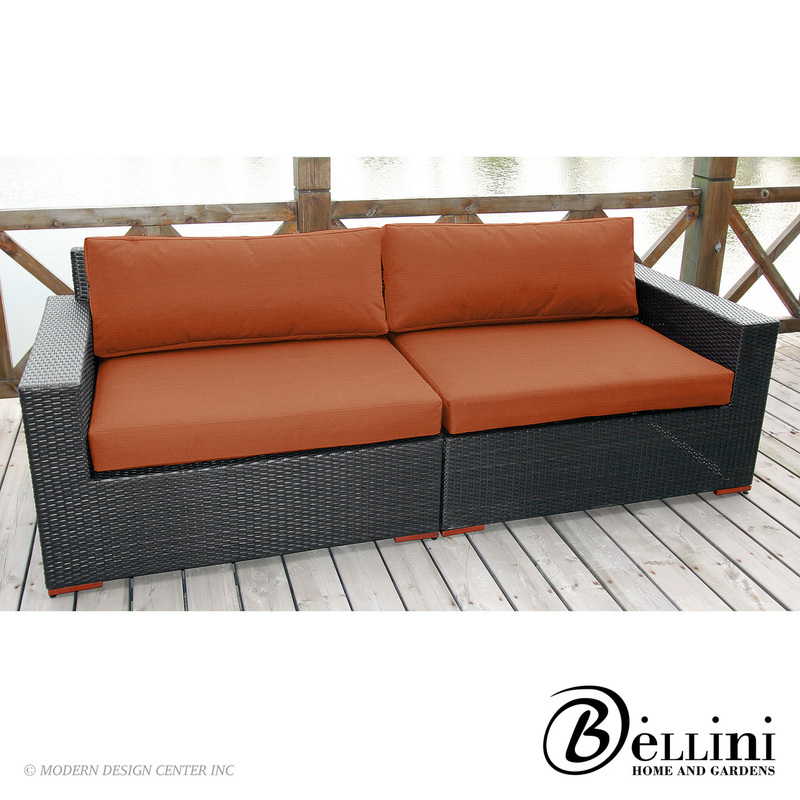 The fabric is Sunbrella brand fabric, which is known for its strength and vibrance. 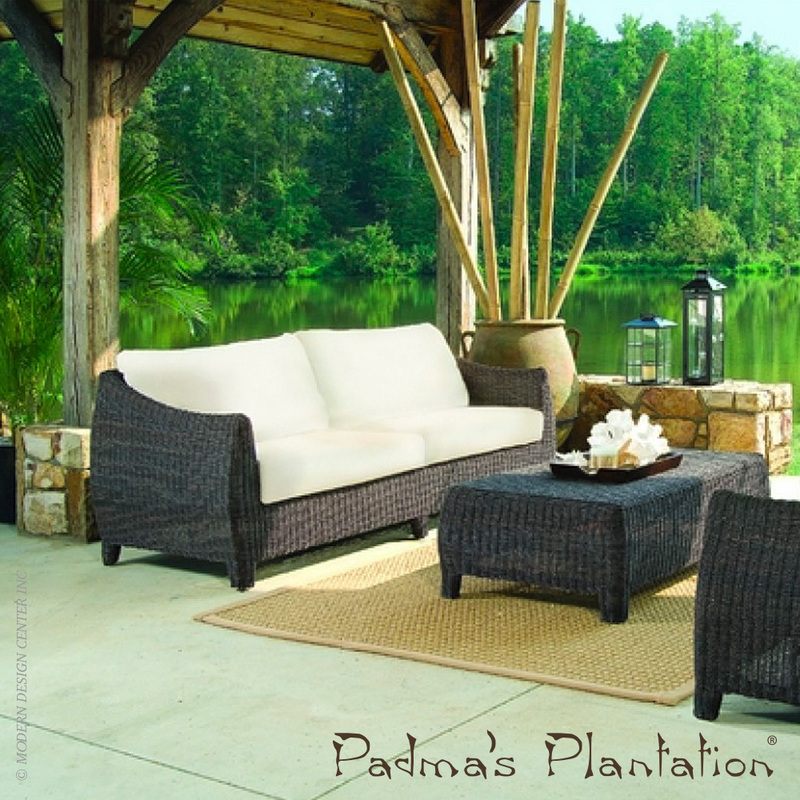 It creates a cozy outdoor seating arrangement when coordinated with the Outdoor Bay Harbor Lounge Chair, Coffee Table, and Ottoman.